The coastal regions of the United States have provided her with a rich inspiration for her water colors of the sea coast, the birds of the marshes, and lush florals. Her works of nature combine integral detail with impressionistic interpretation. The vibrant colors which highlight her paintings also show the influence of her travels in the Far East. 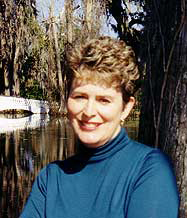 Margaret is a lecturer at colleges, museums, and professional organizations and has taught seminars throughout the United States for the last thirty years and Europe for the last ten years. Hoybach has juried and judged numerous shows in the southeastern United States. Hoybach has a public educational television series, "The Artistry of Margaret Hall Hoybach", which was produced and aired in the Washington, D.C. area. The book "Colors of France - A Painting Pilgrimage", the story of her trip to paint in Monet's garden in Giverny, France, was published in 2002.